China’s gold imports have surged over 700 percent since 2010 and the country remained the world's biggest consumer of the precious metal last year, according to the latest data from Hong Kong. In 2015 the country imported almost 1,000 tons of gold, compared to about 100 tons five years ago. China was followed by India which imported 849 tons of gold in 2015. Last year China’s demand for gold coins surged 25 percent in the fourth quarter from a year earlier. The rush followed Beijing’s devaluation of the yuan as consumers sought to protect their wealth. China’s central bank has also accelerated gold purchases to diversify the country's reserves away from the US dollar. However, Beijing doesn’t explain the jump in gold demand, claiming the country’s gold reserves have grown only a little in recent years. "China has a lot more gold than they declare," John LaForge, head of Wells Fargo's commodities team told CNN. For the last six years Beijing has stayed secretive about its gold reserves. Last year the government finally revealed a nearly 60 percent growth in reserves since 2009. 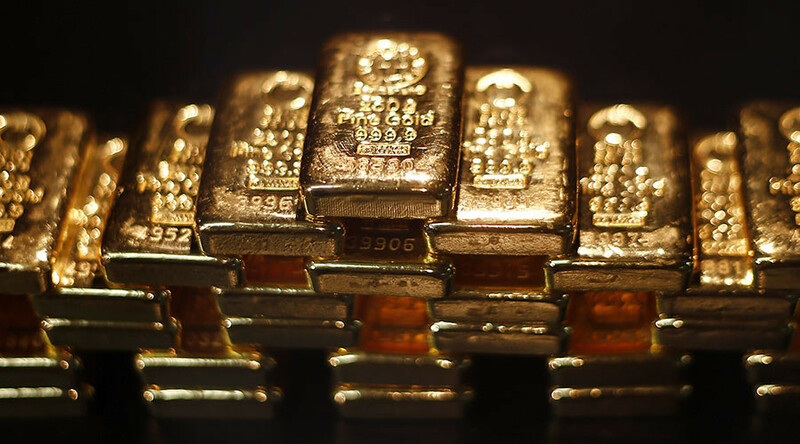 The country became the fifth largest holder of gold in the world, following the US, Germany, the International Monetary Fund (IMF), Italy and France. China now reports its gold holdings monthly, encouraged by the IMF’s approval to include the yuan into the reserve basket of currencies. Gold prices rose above $1,200 a troy ounce in trading Thursday, the highest level in more than eight months.